Barloworld’s operations do not have a material direct impact on biodiversity. This is due to the mainly urban location of its operations and the nature of its business. Despite this, the group’s impact on biodiversity will continue to be monitored and should this necessitate a response, a strategy will be developed and implemented. However, if one of our suppliers was judged to have had a severe impact on an area of high biodiversity value, and therefore be in breach of Barloworld’s own Code of Ethics and Worldwide Code of Conduct, the group would consider an appropriate response. The group has not needed to address any biodiversity protection or rehabilitation matters during the year, nor have its activities impacted on threatened species or their habitat. The group will continuously take these aspects into account in constructing or renovating any facilities in future. Currently the group does not focus on specific biodiversity impacts of its activities nor is this anticipated to be a material matter into the future, given the locations and nature of its operations. Despite the insignificant direct impact our operations have on biodiversity, we remain mindful that the use of some of our products may have an indirect impact on biodiversity through climate change. Avis Budget SA purchased sufficient carbon credits in the form of Voluntary Emission Reductions (VERs) to offset its internal fuel and energy usage carbon emissions, as was the case in the prior year. 13 435 tons were purchased for 2018 for approximately R0.7 million. These VERs were purchased through Nedbank Capital and sourced through the Johannesburg Landfill Gas to Energy Project. The group strives to reduce and minimise environmental impact of its operations, products and solutions through a range of internal and external initiatives. 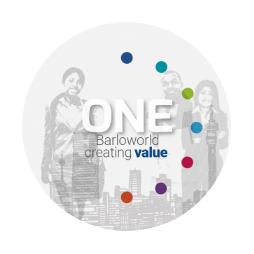 Barloworld operations do not directly affect terrestrial fresh water or marine environments. Since sites are primarily in industrialised and urbanised areas, they do not impact on protected areas or areas with high biodiversity value. The group has therefore not needed to address biodiversity protection or rehabilitation matters during the year, nor have its activities affected threatened species or their habitat. We will continuously consider these aspects in constructing or renovating facilities in future. Our Equipment operations operate two maintenance and repair sites on customer mining properties that are adjacent to the Kruger National Park (KNP) in South Africa. The extent of property is approximately 3sq kilometers. The operations on this do not adversely impact the neighboring KNP. There are no significant impacts on areas of high biodiversity value. Barloworld has not impacted habitats such that restoration activities were necessary. In certain operations, for example operations on mining sites, rehabilitation plans exist as part of the respective customer’s approved environmental management programme. As most operations are in urban locations, no Red List species are affected by any of the group's operations. In certain operations, for example operations on mining sites, rehabilitation plans exist as part of the customer’s approved environmental management programme report. Specialist studies are conducted to identify direct and indirect impacts to fauna and flora and protection and re-introduction measures are implemented accordingly.